The question here is – Real ? or is this cockroach too big to be true. HomeMasters do pest control all over Adelaide and know that this was too big to be real! Which I guess in most peoples minds is definitely a good thing. I mean could you imagine? Taking the bins out one night and this thing comes along to greet you. Pest controllers all over would be inundated with calls. People would be panicking wanting to get rid of the nasty pest straight away. Even most dogs might get a bit of a fright from the creepy crawly cockroach. 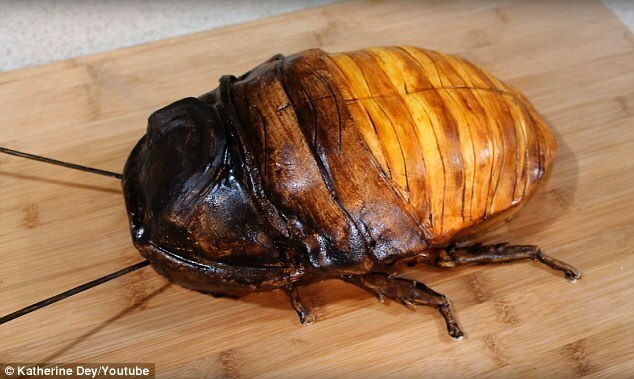 The good news is not only is this particular cockroach fake, it is actually cake. We can’t believe how real it actually looks considering someone baked it! The cake was designed to look like a cockroach on the outside but on the inside once cut will ignite your taste buds revealing a lovely tasting cake. The cake was made from a Lady in New York. I for one am glad, being in Pest control I could only imagine the amount of chemical it would take to knock one of these goliath cockroaches out! I mean we are professionals in pest control but dealing with a pest this size could prove to be a little difficult. Stepping on this pest is not a route you would take. The easiest way to control this cockroach would be to eat it. We are all for exciting new cake designs but a cockroach is probably on the lower end of the list. Let us know what you think and leave a comment on our Facebook Page HERE. If by chance you do run into any nasty pests around the home, give us a call, we are a locally owned and operated business in Adelaide that can help with all your pest problems.